Just last week, technology research and analysis firm Gartner, Inc. released the annual iteration of their Magic Quadrant (MQ) Report for Unified Threat Management (SMB Multifunction Firewalls) for 2018. For the uninitiated, in this report Gartner evaluates the strengths and weaknesses of the 14 Unified Threat Management solution providers it considers the most significant in the market based on distinct service and market share criteria. 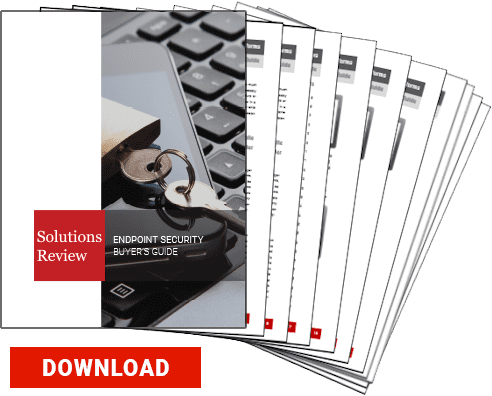 The report then provides readers with a graph—the so-called Magic Quadrant—plotting the vendors based on the completeness of, and their ability to execute on their security vision. The four categories of the Quadrant are labeled as Leaders, Visionaries, Challengers, or Niche Players. This year the 14 vendors selected to the Unified Threat Management Magic Quadrant are Barracuda Networks, Check Point Software Technologies, Cisco, Fortinet, Hillstone Networks, Huawei, Juniper Networks, Rohde & Schwarz Cybersecurity, SonicWall, Sophos, Stormshield, Untangle, and Venustech. Gartner has reported on Unified Threat Management solutions for at least nine years. In 2018, the prime consideration among vendors and clients is firewall evolution in the wake of new architectures. Gartner predicts that in five years, 30% of small to medium businesses (SMBs) will select firewalls with mature endpoint correlation capabilities for their new deployments. 10% of new distributed branch offices firewall deployment will switch to firewall as a service. 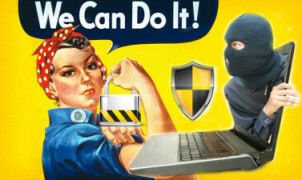 Gartner defines Unified Threat Management as “multifunction firewalls” used by SMBs in particular. According to the Gartner definition, this applies to businesses with 1,000 employees or less. Unified Threat Management in under constant evolution and thus these solutions also include capabilities such as secure web gateway, intrusion prevention systems, partner support, VPN, localized software, and advanced malware detection. Many of these capabilities may not be particularly appealing to larger enterprises but as vital to SMB functionality and security. To be considered for entry to the UTM Magic Quadrant, a vendor’s solution must possess certain minimum capabilities, regularly appeared on Gartner midsize client shortlists for final selection, and achieved sales of more than $9 million in 2017. However, this does not apply to the 2018 Unified Threat Management Magic Quadrant. No new vendors were added this year, and no vendors were dropped from the list. This is remarkable consistency relative to other categories in the notoriously shifting cybersecurity market. Does this suggest that the market is, in fact, mature? Of the 14 solution providers who made the Magic Quadrant in 2018, three vendors were singled out as Leaders: Fortinet, Check Point Software Technologies, and Sophos. According to Gartner, the Leaders are at the forefront of making and selling UTM products that are built for midsize-business requirements. Gartner stresses that just because a vendor is a Leader does not mean that it is ideal for everyone; leaders may be too broad in focus for some clients or spread too thin. Sophos was praised for its sales strategy and execution, as well as for its strong ransomware detection capabilities. It was also noted for its constant improvement of those capabilities. Fortinet offers an integrated wireless controller in its UTM solution that Gartner lauds, as well as its extended support for multiple cloud platforms. Check Point features URL filtering with more granular options in addition to anti-ransomware and CPU-level emulation tools, all of which garnered praise. At the same time, the Niche Players in the Unified Threat Management MQ featured the majority of vendors. Juniper Networks, Barracuda Networks, Stormshield, Venustech, Hillstone NEwtworks, Untangle, and Rohde & Schwartz Cybersecurity were all placed in the Niche Players quadrant. For this report, Gartner defines Niche Players as “enterprise-centric or small-office-centric in their approach to UTM devices for SMBs. Some Niche Players focus on specific vertical industries or geographies.” This is perhaps unsurprising, as SMBs are going to be more varied in their network architectures, industries, and network perimeter security needs than large enterprises. SMBs are becoming more and more aware that hackers are just as likely to target them as they are to target large enterprises. Yet SMBs face considerably greater challenges than enterprises when it comes to securing their endpoint perimeters: limited budgets, smaller security teams, different compliance requirements, etc. UTM vendors need to work to accommodate these deficiencies in order to stay relevant in the market.